The Epic Norman Nasal Helmet follows the traditional design of a helm used throughout Western Europe from the Early Middle Ages and beyond. Become a warrior under the command of William the Conqueror with this helm guarding your brow. 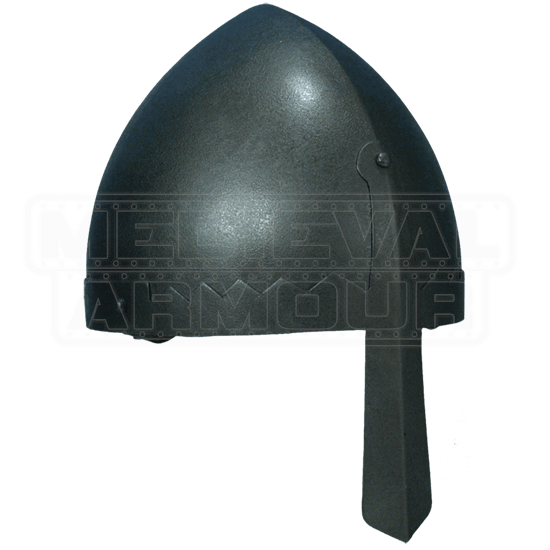 Crafted from 18-gauge galvanized mild steel, this helmet helps create a solid defense on the LARP battleground. 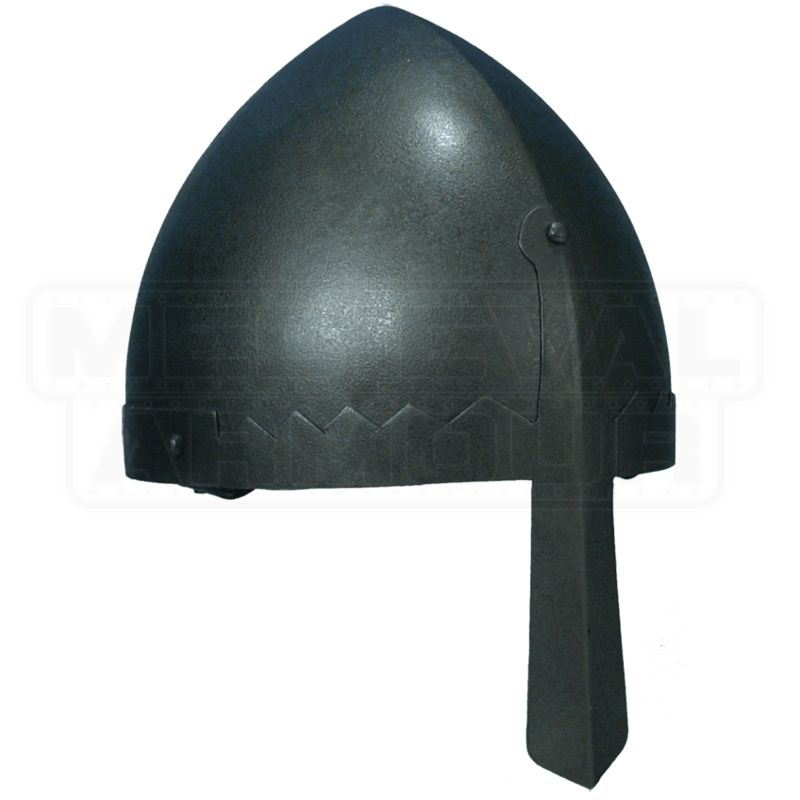 The conical skullcap and nasal guard were welded together for increased strength and durability. A decorative ridge, rolled edges, and rivets aid in deflection. The dark metal finish possesses rust and scratch resistant properties. An inner lining provides a more comfortable fit, while an adjustable buckle strap secures the Epic Norman Nasal Helmet around your chin. This Epic Norman Nasal Helmet this just perfect. The leather lining is a big plus. I got the large size so I could wear a Coif under it. It goes well with the rest of my dark warrior armor. I am quite pleased.